PIXIE TINY HOUSES BY IHC HAVE ARRIVED! Our new Pixie Tiny Houses can be designed using any one of our timber wall systems, including our patented Thermo-Lam III. 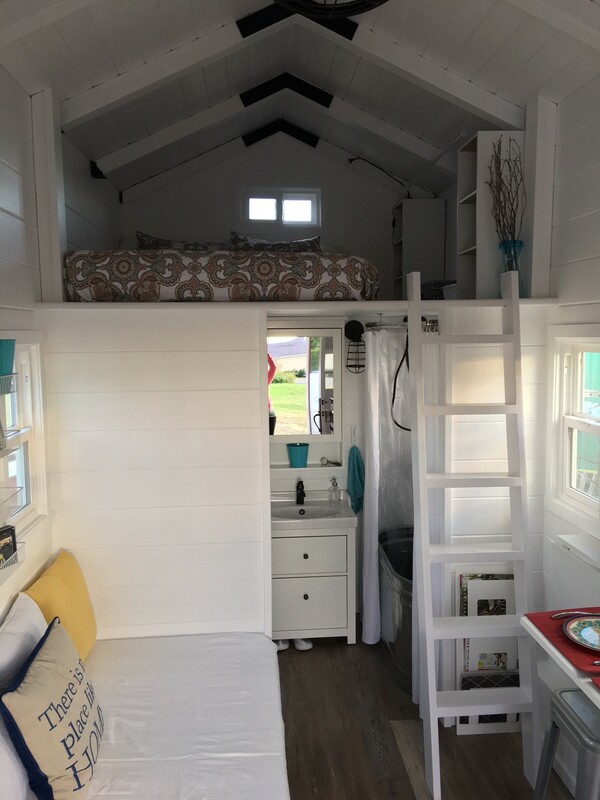 We have a variety of designs available in many shapes and sizes, or we can custom design a Tiny Home just for you. 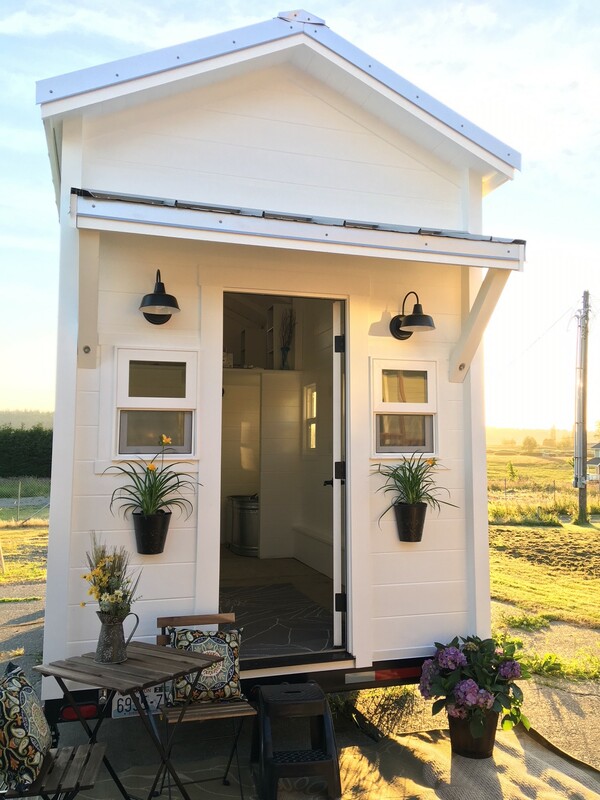 If you would like more information regarding one of our tiny houses, please call 1-800-767-7674 or email ihc@ihoc.com. Saturday, March 2nd at 12:30pm “Designing and Building Your Custom Home” Presented by International Homes of Cedar, Inc. 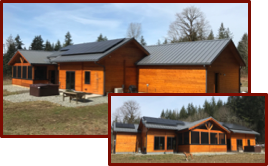 Please join us in viewing this beautiful custom designed Net-Zero home nestled in a picturesque Northwest setting. This home was built using IHC’s unique patented Thermo-Lam III engineered wall timbers, contributing to its superb energy efficiency. 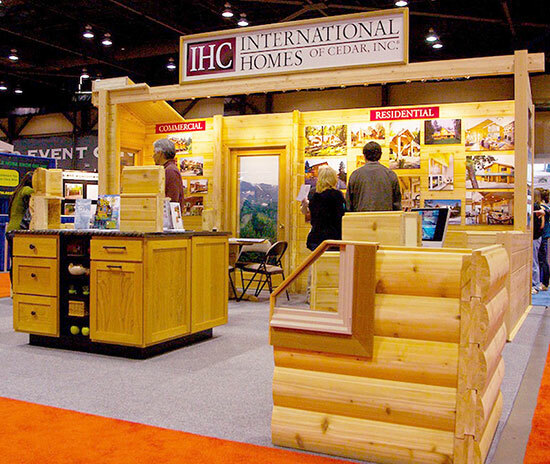 We would love for you to join us to see for yourself the versatility of the IHC timber wall system, as well as have the opportunity to speak with someone who has firsthand knowledge about the unique advantages of building with IHC. This rustic IHC Ranch style cabin has the best of both worlds. A covered porch, where you can revel in the outdoors on a snowy evening; as well as a balcony off the loft floor where you can appreciate a sunrise over morning coffee or a sunset over a glass of wine, all while enjoying an unobstructed view of the lake below. We would love for you to join us at the Open House we will be hosting in June. Please call 1-800-767-7674 or email ihc@ihoc.com for open house details. This new high end hotel is located just outside the entrance to the Denali National Park. 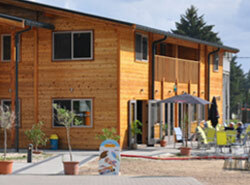 It features 64 rooms in four buildings constructed using the unique IHC 5x8 cedar faced engineered timber wall system. The construction of these buildings began on October 26th, 2016, and the rooms began renting on June 1, 2017. 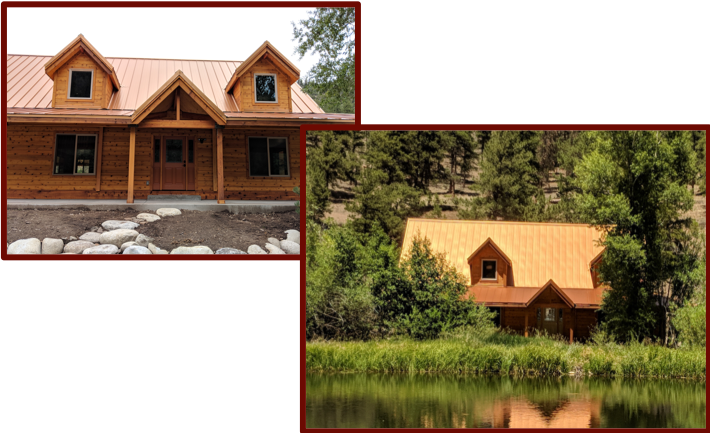 This quick build time was one of the selling points of the IHC building system, along with the natural beauty and strength of our cedar timbers. 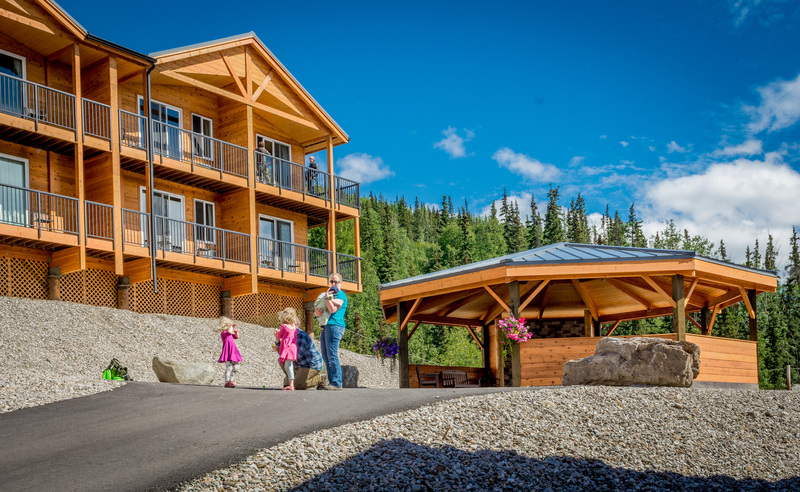 Each room has a private veranda with sweeping views of the Nenana River, and the Denali National Park. This project included over 31,000 square feet of living space and showcases what IHC can do for larger commercial projects. Rooms can be rented from mid-May to mid-September. This custom home is located in the Greenlake area of Seattle, Washington. It is a great example of a modern design in an urban setting. 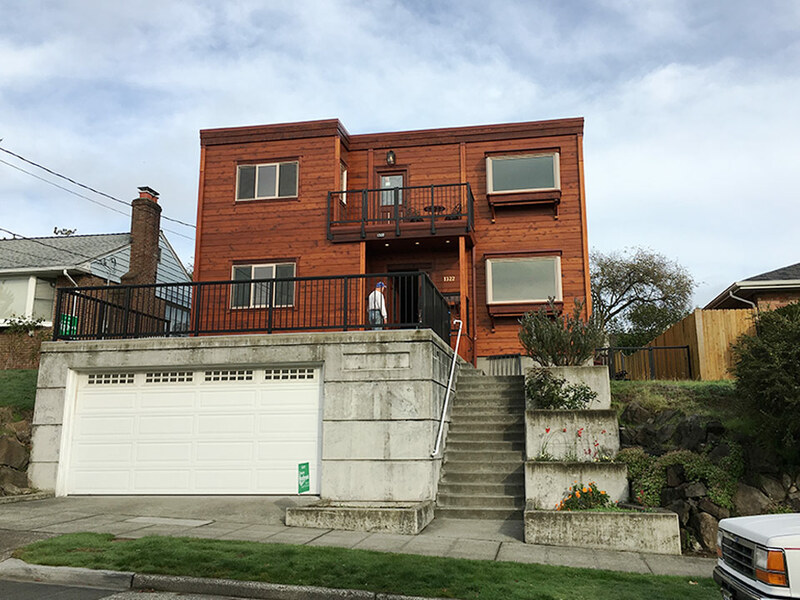 One might think that an all cedar home may not "fit" in a city setting. Not true. This home is actually the gem of the entire neighborhood. 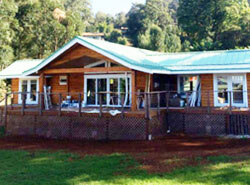 This custom hale ohana or "family home" is located upcountry on the island of Maui, Hawaii. It is a smaller ranch style home, but finished beautifully and equipped with solar panels to take advantage of the endless supply of Hawaiian sunshine. Visit our What's New Limburg, Belgium Photo Gallery page to review some photos from a project that was recently completed. Here we have two-level restaurant and catering service was built by the owners themselves using our simple building process. Each year, nearly 1/3 of our customers build or manage the home project themselves with our system. International Homes of Cedar, Inc. announces new spokesperson gold medalist Rowdy Gaines.